BASKETBALL SPOTLIGHT NEWS: Murphy Looking To Raise Stock At Future Phenom Camp! 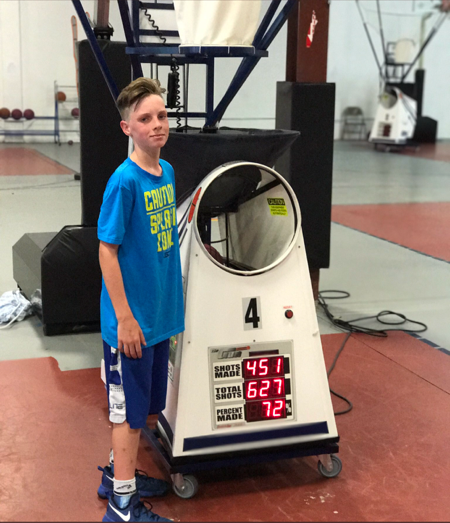 Murphy Looking To Raise Stock At Future Phenom Camp! The state of Connecticut has always been a home for top guards and now Gavin Murphy will be looking to add his name to the list. Murphy has confirmed his presence at the Future Phenom Camp August 26th and 27th in Boyd, MD. He has a serious camp resume around the country after gathering Top 20 honors at the CP3 All Stars Camp and John Lucas Future Stars. Murphy also took home MVP honors at the Gym Rat Tournament in Saratoga. Murphy will joining a loaded Class of 2023 at the Future Phenom Camp. Stay tuned as we bring you more top players that will be attending this event. Don’t wait too long to register because we are approaching a sellout.